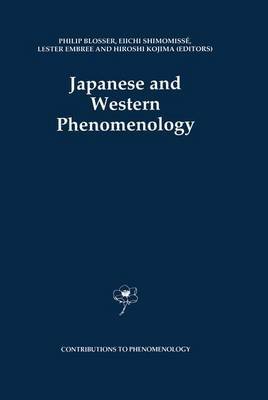 This volume is a selection of essays from the Japanese-American Joint Seminar on Phenomenology held in the suburbs of Sanda-city (Japan) October 24-27, 1989, under the auspices of the Center for Advanced Research in Phenomenology, Inc. Florida Atiantic University and the Phenomenological Association of Japan. Professor Eiichi Shimomisse played a particularly impartant role in the organizational processes. The theme of the conference was "Japanese and Western Phenomenology. " This seminar marks the first attempt to organize, on a comparatively large scale, a cooperative research meeting in phenomenology (perhaps for the first time even in philosophy in general) between Japan and the English speaking West. Eighteen phenomenologists from the United States, Canada, and Australia and about thirty Japanese colleagues attended the meeting. Revised vers ions of aimost all the papers that were read and discussed in the sessions are inc1uded. It was not a trifling affair to setHe upon what language we phenome- nologists from across the world could use to communicate with each other at this conference. As many of the Japanese scholars had studied in Germany and speak better German than English, the official language of the seminar was defined to inc1ude both German and English. So me of the papers, accordingly, were written and read in German. But now they are all rewritten here in English. Not only these papers, but aH the manuscripts written by Japanese authors were edited both grammaticaHy and stylisticaHy by Professor Blosser.